Kitchens are the heart of a home and the hardest-working room in the house, so it’s especially important to choose the kitchen floor wisely. You want to pick a floor that stands up to spills and still looks beautiful. Because, when you give a party, where do all guests eventually congregate? In the kitchen! Wood, laminates, ceramic tile, and vinyl all stand up well to the two constants in any kitchen ¾ spills and traffic. Your budget usually determines your flooring choice so pick the look you love, but make sure it matches your budget and lifestyle. And be sure to check the life of the flooring warranty ¾ it’s a good indicator of quality. Forget your mother’s warnings, hardwood floors are a popular choice for kitchens today Wood floors used to be a maintenance nightmare, but no more - today’s high-tech finishes are tougher than in your mother’s day and they hold up well. Wood works especially well in kitchens that open into dining and family rooms. The continuous flooring from one room to the next makes a smooth transition. 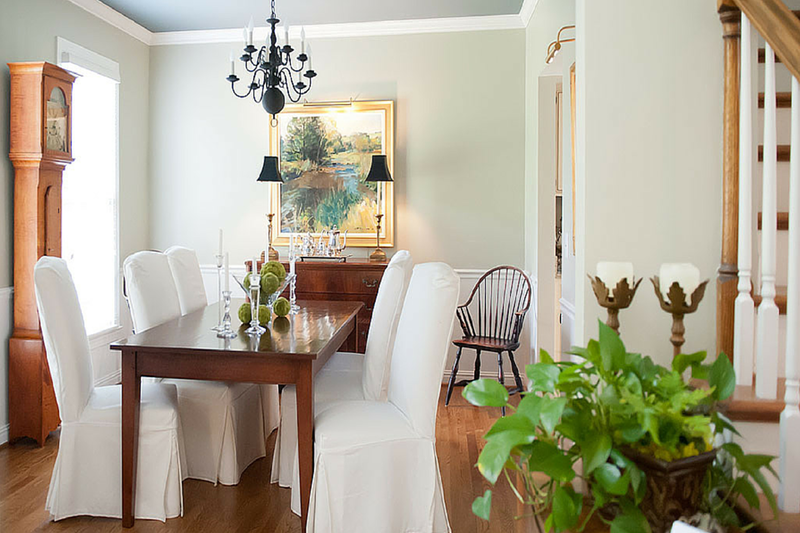 People are returning to the rich, dark, walnut-colored tones so popular in older homes of the 1940s. You might want to think twice about wood floors in the kitchen if you have pets or rambunctious kids. Dog claws can scratch hardwood floors, so strong laminates and laminate tile that look like wood or tile are a good choice for active families. The new laminates have realistic textures and are even available in hand scraped and exotic wood looks. 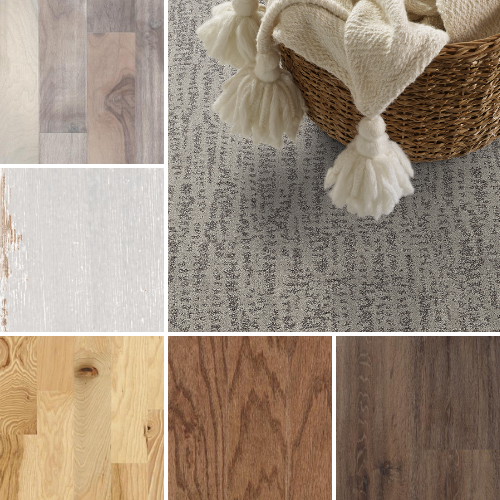 Mirror Lake Laminate from Carpet One Floor & Home is not only beautiful, it is durable, easy to maintain and affordable! The best news is that this laminate also resists stains and spills which makes it perfect for your new kitchen! Ceramic tile floors are popular in kitchens because they are durable and easy to clean. It’s extremely difficult to damage ceramic tile, but if you do crack a tile, it’s easy to replace. Just be sure to keep some extra tiles after the original installation. As for styles and colors, you may want to try textured earth tone tiles with darker grouts. Light grouts trap dirt and textured tiles are safer, because they’re less slippery and easier for kids and pets to walk on, too. Some homeowners love the look of floor tile, but don’t like cold feet on chilly winter days. For these, installing a heated floor under the tile is an increasingly popular option. Others choose a “toe-kick” heater built into the baseboard area under the kitchen sink or even a cozy area rug. Vinyl floors are softer on the feet and dropped dishes and tougher than ever. A perfect choice is Earthscapes Vinyl, it is soft and warm underfoot and it’s ideal for anywhere that you spend a loot of time on your feet. Plus, it is virtually maintenance free and resists scuffs, stains, scrapes and tears. WHAT COMES FIRST? FLOORING OR CABINETS? When remodeling kitchens, flooring is usually installed after cabinets, but remember to check the thickness of your flooring before new cabinets go in so they can be shimmed, or raised, to be flush with the finished floor surface. Get more inspiration for your kitchen remodel from our Kitchen Pinterest Board.